Dr. Angela Hill graduated from Tooele High School where she participated in Student Government, Athletics, and Cheerleading. She received All State honors in Softball and Volleyball. She attended Nova Southeastern University in Fort Lauderdale, Florida on a joint academic and softball scholarship where she received her B.S. in 2000, and her Doctor of Optometry Degree in 2004. Dr. Angela Hill joined her father in practice at Eyecare Associates in June 2004. She is a member of the American Optometric Association and Utah Optometric Association. When away from the office, Dr. Angela Hill enjoys the outdoors. In the Summer you can find her wakeboarding, water skiing, hiking, biking and camping. In the Winter, she is up in the mountains snowboarding and skiing. We are committed to continuing education to remain a leader in the profession. The visual needs and wellness of each patient will guide all our professional decisions. Dr. Kris Hill is a graduate of Skyline High School in Salt Lake City, where he was a member of the swim team and was also a member of the State Championship football team. He attended the University of Utah and received his Doctor of Optometry degree from Pacific University. After completion of Optometry school he served as an Officer in the United States Navy and was Chief of Optometry at NRMC Camp Pendleton California. Dr. Kris Hill is a member of the American Optometric Association and Utah Optometric Association and served as President of the Utah Optometric Association in 1989. In 1990 Dr. Kris Hill was selected by his peers as the Optometrist of the Year for the state of Utah. 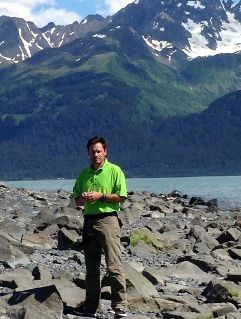 Away from the office Dr. Kris Hill enjoys travel and the outdoors. 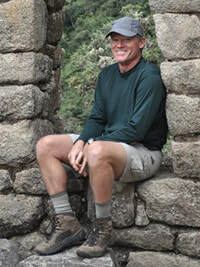 On your next visit to our office ask him about his hiking, biking, boating and scuba diving adventures. If he talks too long remember, you asked. Dedication to serving our patients with the highest quality eyecare and eyewear is what drives our practice. We will always treat our patients with courtesy and respect and make it a point to answer any question concerning their eyes and visual needs. Dr. Dean Brown graduated from Cody High School in Cody Wyoming. He participated in basketball, track, football, and tennis. He graduated from Brigham Young University receiving a B.S. in Athletic Training. He then received his Doctor of Optometry in 2000 from Nova Southeastern University in Fort Lauderdale, Florida. When Dr. Brown is not working he is following his four children playing various sports, or playing with them. He enjoys outdoor activities and likes to travel. Dr. Brown is a classic car enthusiast and has owned a few mustangs in the past. Dr. Jed Smith graduated from Juan Diego High School in Draper and then attended the University of Utah. He completed his Doctor of Optometry degree at Indiana University and practiced in Illinois where he was an adjunct faculty member for the University of Missouri-St. Louis College of Optometry. Afterwards he relocated home to Utah to practice in the Salt Lake Valley. In addition to his position at Eyecare Associates, Dr. Smith is a Captain in the US Air Force Reserve for the 419th Medical Squadron at Hill Air Force Base. He is a member of Armed Forces Optometric Society, the American Optometric Association, and the Utah Optometric Association. the megaplex, or spending time with family and friends. Becky has an Associates Degree in Science from Moraine Valley Community College and is ABO Certified in Optics. She is an expert in both frame styling and fitting and makes sure the dispensary has the latest in frame styles. With more than twenty years of experience in the optical field, patients will find Becky in the dispensary with a smile on her face, ready to answer any questions they may have about eyewear and sunglass options. In addition, Becky can help answer questions about contact lenses, whether for a current wearer or for a patient simply thinking about them for the first time. Becky enjoys cooking and is always experimenting with new dishes. Ask her whats cooking and see if she'll share recipes with you. Eyecare Associates is proud to have Becky as part of the team and welcomes all the knowledge she brings. 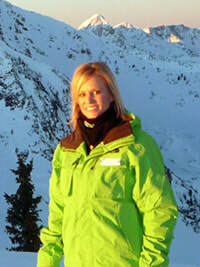 Angi is a graduate of Cottonwood High, and received her Associates from Snow College. She is an expert in dealing with insurance companies and Medical Billing. She has previous experience as a front office staff member in multiple medical settings. Outside the office she enjoys spending time with her husband Steve and their children. Sarah was born and raised in Kentucky and is a transplant to Utah. She received her B.A. from Eastern Kentucky University but later became interested in the optometry field. Outside the office, she's a movie junkie and likes to read. She is also your go to for any violin repairs since her fiance is studying to be a luthier. ​Merry joined the staff in 2001 after owning her own travel agency for 19 years. Her friendly smile and sense of style are a great addition to our team. Merry was awarded the Utah Optometric Associations Presidents Award in 1984 for her work with the Utah Foundation for Vision Awareness.